The Zero draft of the outcome document for the UN Summit to adopt the Post-2015 Development Agenda was released by the co-chairs of the negotiations in early June. It will be discussed at the upcoming session of the post-2015 intergovernmental negotiations, to be held from 22-25 June. The drafting of the outcome document will continue in the lead up to the UN Sustainable Development Summit to be held from 25 to 27 September 2015, when world leaders are expected to adopt the new agenda, with a set of Sustainable Development Goals at its core. From 26 June to 8 July 2015, the High-level Political Forum (HLPF) on sustainable development will meet for the third time since its creation. The Forum will have an essential role in steering and reviewing progress towards the sustainable development goals and the post-2015 development agenda once Member States adopt them in September. In line with this task, its theme will be "Strengthening integration, implementation and review - the HLPF after 2015". This year the Forum will meet under the auspices of ECOSOC. A high-level advisory group, established by United Nations Secretary-General Ban Ki-moon, agreed today to take measures that could accelerate a shift toward safer, healthier, more effective, efficient and sustainable transport systems. Sustainable transport is an increasingly important concern in a rapidly urbanizing world—54 per cent of the world’s population now lives in cities. There are presently 1.3 billion cars, vans, trucks and buses on the world’s roads, and all indications point to a continued pattern of motorization, with the number of motor vehicles expected to reach 1.6 billion by 2035. 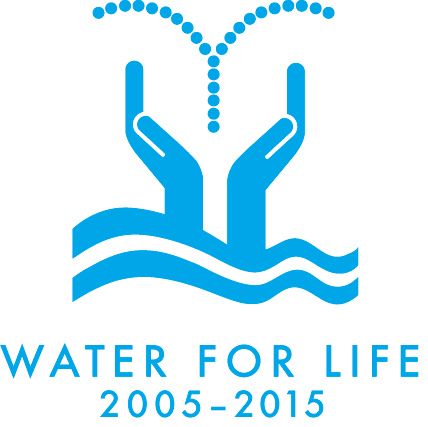 Heads of state and United Nations leaders gathered last week in Dushanbe, Tajikistan to celebrate the achievements of the Decade for Action: Water for Life 2005-2015, and to begin looking at proposals for moving forward with the Decade’s work. UN Secretary-General Ban Ki-Moon stated that water’s place in the Sustainable Development Goals will greatly surpass that which it occupied in the Millennium Development Goals, which conclude this year. "Water is life. Water is health. Water is dignity. Water is a human right,” he emphasized.